Note: You can visualize records with a set date in your calendar. Default Value A Default Date is added automatically when creating a new record. 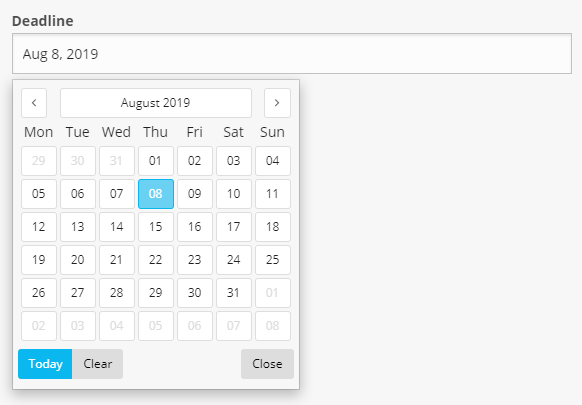 Note: You can set the default date in the past by entering a negative number. Date - Used when you need to track a particular date. 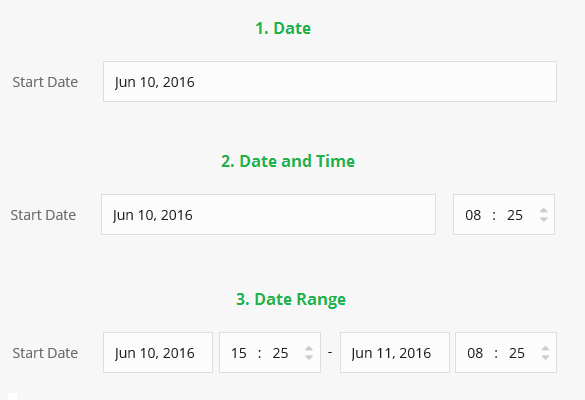 Date and Time - Used when you need to track both the date and time (no interval). Date Range - Used when tracking a time interval. 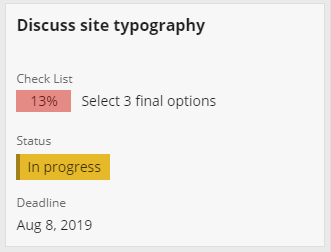 Display count from today When ticked, the date will be displayed as a count from the current date (now). For example, 5 days ago OR in 16 days.